In a moment of weakness, I borke down and bought a PS3 when GameStop was having a rare hardware sale. The Blu-ray inclusion is nice and I'd been wanting to play some of the more heralded titles. As a retro gamer, I have to say the PS3 generated the least excitement, as far as purchasing a new gaming console, that I can remember. Buying the NES, SNES and Atari Jaguar were exciting and memorable purchases. Picking up a PS3 felt more like a mandatory endeavor. I was stoked to play the latest cutting edge games, but it's sophistication was well beyond the 8-bit games that really get me pumped up to play. Even the Wii's Virtual Console makes me feel connected to the era of games I adore. The PlayStation 3 (PS3) is the third home video game console produced by Sony Computer Entertainment and the successor to the PlayStation 2 as part of the PlayStation series. The PlayStation 3 competes with Microsoft's Xbox 360 and Nintendo's Wii as part of the seventh generation of video game consoles. It was first released on November 11, 2006, in Japan, with international markets following shortly thereafter. Major features of the console include its unified online gaming service, the PlayStation Network, its multimedia capabilities, connectivity with the PlayStation Portable, and its use of the Blu-ray Disc as its primary storage medium. Sony officially unveiled the PlayStation 3 (then marketed as PLAYSTATION 3) to the public on May 16, 2005 at the E3 2005 conference, along with a 'boomerang' shaped prototype design of the Sixaxis controller. A functional version of the system was not present there, nor at the Tokyo Game Show in September 2005, although demonstrations (such as Metal Gear Solid 4: Guns of the Patriots[) were held at both events on software development kits and comparable personal computer hardware. Video footage based on the predicted PlayStation 3 specifications was also shown (notably a Final Fantasy VII tech demo). The initial prototype shown in May 2005 featured two HDMI ports, three Ethernet ports and six USB ports; however, when the system was shown again a year later at E3 2006, these were reduced to one HDMI port, one Ethernet port and four USB ports, presumably to cut costs. Two hardware configurations were also announced for the console: a 20 GB model and a 60 GB model, priced at US$499 . The 60 GB model was to be the only configuration to feature an HDMI port, Wi-Fi internet, flash card readers and a chrome trim with the logo in silver. Both models were announced for a simultaneous worldwide release: November 11 for Japan and November 17 for North America and Europe. On September 6, 2006, Sony announced that the PAL region PlayStation 3 launch would be delayed until March 2007, due to a shortage of materials used in the Blu-ray drive. At the Tokyo Game Show on September 22, 2006, Sony announced that it would include an HDMI port on the 20 GB system, but a chrome trim, flash card readers, silver logo and Wi-Fi would not be included. Also, the launch price of the Japanese 20 GB model was reduced by over 20%, and the 60 GB model was announced for an open pricing scheme in Japan. During the event, Sony showed 27 playable PS3 games running on final hardware. The PlayStation 3 was first released in Japan on November 11, 2006 at 07:00. According to Media Create, 81,639 PS3 systems were sold within 24 hours of its introduction in Japan. Soon after its release in Japan, the PS3 was released in North America on November 17, 2006. Reports of violence surrounding the release of the PS3 include a customer shot, campers robbed at gunpoint, customers shot in a drive-by shooting with BB guns, and 60 campers fighting over 10 systems. The console was originally planned for a global release through November, but the European and rest-of-the-world's release was delayed "until March" at the start of September. With it being a somewhat last-minute delay, some companies had taken deposit-based pre-orders, to which Sony informed customers that they were eligible for full refunds or could continue the pre-order. On January 24, 2007, Sony announced that the PlayStation 3 would go on sale on March 23, 2007 in Europe, Australia, the Middle East, Africa and New Zealand. The system sold about 600,000 units in its first two days. On March 7, 2007, the 60 GB PlayStation 3 launched in Singapore with a price of S$799. The console was launched in South Korea on June 16, 2007 in a single version equipped with an 80 GB hard drive and IPTV. The PlayStation 3 is convex on its left side, with the PlayStation logo upright, when vertical (the top side is convex when horizontal) and has a glossy black finish. PlayStation designer Teiyu Goto stated that the Spider-Man-font-inspired logo "was one of the first elements SCEI president Ken Kutaragi decided on and the logo may have been the motivating force behind the shape of PS3". The PlayStation 3 features a slot-loading 2x speed Blu-ray Disc drive for games, Blu-ray movies, DVDs, CDs and other optical media. It was originally available with hard drives of 20 and 60 GB (20 GB model was not available in PAL regions) but various sizes up to 320 GB have been made available since then (see: model comparison). All PS3 models have user-upgradeable 2.5" SATA hard drives. The PlayStation 3 uses the Sony, Toshiba, IBM-designed Cell microprocessor as its CPU, which is made up of one 3.2 GHz PowerPC-based "Power Processing Element" (PPE) and eight Synergistic Processing Elements (SPEs). The eighth SPE is disabled to improve chip yields. Only six of the seven SPEs are accessible to developers as the seventh SPE is reserved by the console's operating system. Graphics processing is handled by the NVIDIA RSX 'Reality Synthesizer', which can output resolutions from 480i/576i SD up to 1080p HD. The PlayStation 3 has 256 MB of XDR DRAM main memory and 256 MB of GDDR3 video memory for the RSX. The system has Bluetooth 2.0 (with support for up to 7 bluetooth devices), gigabit Ethernet, USB 2.0 and HDMI 1.4 built in on all currently shipping models. Wi-Fi networking is also built-in on all but the 20 GB models, while a flash card reader (compatible with Memory Stick, SD/MMC and CompactFlash/Microdrive media) is built-in on 60 GB and CECHExx 80 GB models. The PS3's hardware has also been used to build supercomputers for high-performance computing. Fixstars Solutions sell a version of Yellow Dog Linux for the PlayStation 3 (originally sold by Terra Soft Solutions). RapidMind produced a stream programming package for the PS3, but were acquired by Intel in 2009. Also, on January 3, 2007, Dr. Frank Mueller, Associate Professor of Computer science at NCSU, clustered 8 PS3s. Mueller commented that the 256 MB of system RAM is a limitation for this particular application and is considering attempting to retrofit more RAM. Software includes: Fedora Core 5 Linux ppc64, MPICH2, OpenMP v 2.5, GNU Compiler Collection and CellSDK 1.1. As a more cost-effective alternative to conventional supercomputers, the U.S. military has purchased clusters of PS3 units for research purposes. Retail PS3 Slim units cannot be used for supercomputing, because the PS3 Slim lacks the ability to boot into a third-party OS. On March 22, 2007, SCE and Stanford University released the Folding@home project for the PlayStation 3. This program allows PS3 owners to lend the computing power of their consoles to help study the process of protein folding for disease research. In December 2008, a group of hackers used a cluster of 200 PlayStation 3's to hack the security protocol SSL. There are several original PlayStation 3 hardware models, which are commonly referred to by the size of their included hard disk drive: 20, 40, 60, 80 or 160 GB. Although referred to by their HDD size, the capabilities of the consoles vary by region and release date. The only difference in the appearance of the first five models was the color of the trim, number of USB ports, the presence or absence of a door (which covers the flash card readers on equipped models) and some minor changes to the air vents. All retail packages include one or two Sixaxis controllers and/or a DualShock 3 controller (beginning June 12, 2008), one miniUSB to USB cable (for connecting the controller and PlayStation Portable to the system), one composite video/stereo audio output cable, one Ethernet cable (20, 60 and CECHExx 80 GB only) and one power cable. All models support software emulation of the original PlayStation, but support for PlayStation 2 backward compatibility has continually diminished with later models and the last model to advertise integrated backward compatibility was the 80GB Metal Gear Solid 4 Bundle. Compatibility issues with games for both systems are detailed in a public database hosted by the manufacturer. All models, excluding the 20 GB model, include 802.11 b/g Wi-Fi. In addition to all of the features of the 20 GB model, the 60 GB model has internal IEEE 802.11 b/g Wi-Fi, multiple flash card readers (SD/MultiMedia Card, CompactFlash Type I/Type II, Microdrive, Memory Stick/PRO/Duo) and a chrome colored trim. In terms of hardware, the 80 GB model released in South Korea is identical to the 60 GB model released in the PAL regions, except for the difference in hard drive size. Like the South Korean and European models, the North American 80 GB (2007) model also excludes the PlayStation 2 "Emotion Engine" CPU chip. However, it retains the "Graphics Synthesizer" GPU. Due to the elimination of the "Emotion Engine", the level of compatibility was reduced. The 40 GB, 80 GB (2008) and 160 GB models have two USB ports instead of the four USB ports on other models and do not include multiple flash card readers, SACD support, or any backward compatibility with PlayStation 2 games. This was due to the removal of "Graphics Synthesizer" GPU, which stripped the units of all PlayStation 2 based hardware. No official Wi-Fi or flash memory card readers were ever released by Sony for the 20 GB system, although Sony had plans to do so. As of September 2009, Sony have placed no further emphasis on these proposed add-ons. Nevertheless, as the model features four USB 2.0 ports, wireless networking and flash memory card support can already be obtained through the use of widely available external USB adapters and third-party PS3-specific media hubs. It was rumored that the Cell processors in the third-generation PS3s (40 GB, 2008 80 GB and 160 GB) would move from a 90 nm process to the newer 65 nm process, which SCEI CEO Kaz Hirai later confirmed, and later to 45 nm. This change lowers the power consumption of the console and makes it less expensive to produce. The redesigned, slimmer version of the PlayStation 3 (commonly referred to as the "PS3 Slim" and officially branded "PS3") is currently the only model in production. It features an upgradeable 120 GB, 160 GB, 250 GB or 320 GB hard drive and is 32% smaller, 36% lighter and consumes 34% (CECH-20xx) or 45% (CECH-21xx) less power than the previous model, or one third of the original PS3 model. The Cell microprocessor has moved to a 45 nm manufacturing process, which lets it run cooler and quieter than previous models, and the cooling system has been redesigned. The RSX moved to a 40 nm process in the latest revision. The PS3 slim also includes support for CEC (more commonly referred to by its manufacturer brandings of BraviaSync, VIERA Link, EasyLink etc.) which allows control of the console over HDMI by using the TV's remote control. The PS3 Slim no longer has the "main power" switch like the previous PS3 models, similar to redesigned slimline PlayStation 2. Support for emulation to play PS2 titles is not present in the Slim version, however shortly after the release of the PS3 slim, Sony announced a new series of PS2 remasters called Classics HD as in PS2 and PSP titles remastered in HD for the PS3 with trophies added and sometimes PlayStation Move compatibility. As of October 2011, PS2 classics are available for purchase in the Playstation Store. The PS3 slim was officially released on September 1, 2009 in North America and Europe and on September 3, 2009 in Japan, Australia and New Zealand. However, some retailers such as Amazon.com, Best Buy and GameStop started to sell the PS3 slim on August 25, 2009. The PS3 Slim sold in excess of a million units in its first 3 weeks on sale. A 250 GB Final Fantasy XIII-themed PS3 Slim, which was white in color with pink designs, was officially announced on September 24, 2009 at the Tokyo Game Show as part of a bundle in Japan for Final Fantasy XIII, it was initially revealed in U.S. Federal Communications Commission (FCC) filings as the PS3 CECH-2000B. Sony Computer Entertainment Australia also announced later that day that it would be bringing the 250 GB PS3 slim to Australia which would be bundled with other games and will not feature the Final Fantasy XIII theme. Although no North American bundles have been announced for the 250 GB PS3 slim, it is sold as a stand-alone console in North America. In July 2010, Sony announced two new sizes of Slim PS3, 160 GB and 320 GB, with the 120 GB model being discontinued in Japan. These were launched on July 29, 2010 in Japan, with the 160 GB version available in "Classic White" as well as the standard "Charcoal Black". The black 160 GB version was also made available as a bundle with the Japan-only DVR accessory torne. It was later announced that the new sizes were to be launched in other regions, with the 160 GB model available from August 2010 in North America and October 2010 in Europe. The 320 GB model is to be available in North America only as part of a bundle with PlayStation Move, a PlayStation Eye and a copy of Sports Champions, and in Europe with PlayStation Move, a PlayStation Eye and a demo disc. The bundles were released on September 19, 2010 and September 15, 2010 respectively, to coincide with the launch of PlayStation Move. At Sony's 2006 E3 press conference, the (then) standard wireless Sixaxis controller was announced. The controller was based on the same basic design as the PlayStation 2's DualShock 2 controller but was wireless, lacked vibration capabilities, had a built-in accelerometer (that could detect motion in three directional and three rotational axes; six in total, hence the name Sixaxis) and had a few cosmetic tweaks. At its press conference at the 2007 Tokyo Game Show, Sony announced the DualShock 3 (trademarked DUALSHOCK 3), a PlayStation 3 controller with the same function and design as the Sixaxis, but with vibration capability included. Hands-on accounts describe the controller as being noticeably heavier than the standard Sixaxis controller and capable of vibration forces comparable to the DualShock 2. It was released in Japan on November 11, 2007; in North America on April 5, 2008; in Australia on April 24, 2008; in New Zealand on May 9, 2008; in mainland Europe on July 2, 2008 and in the United Kingdom and Ireland on July 4, 2008. During E3 2009, Sony unveiled plans to release a motion controller later to be named PlayStation Move at GDC 2010. It was released on September 15, 2010 in Europe; September 19, 2010 in North America and October 21, 2010 in Japan. On October 13, 2010, Sony announced an official surround sound system for the PS3 through the official PlayStation YouTube channel. The PlayStation 3 illuminating the yellow light, indicating a non-specific failure. A 2009 study by SquareTrade, a warranty provider, found a two-year failure rate of 10% for PlayStation 3s. According to Ars Technica, the number of PlayStation 3 consoles that have experienced failure is well within the normal failure rates in the consumer electronics industry. In September 2009, the BBC television programme Watchdog aired a report investigating the "yellow light of death" (YLOD) issue, a yellow light that indicates a non-specific hardware failure which renders the system unusable. According to the report the failure was likely to occur after 18-24 months, while the standard Sony warranty is one year in duration, after which PlayStation 3 owners can pay Sony a set fee for a refurbished console. Sony claimed that, according to its statistics of returned consoles approximately only 0.5% of consoles were reported as showing the YLOD. In response to the program Sony issued a document criticizing the program's accuracy and conclusions; specifically that the faults were evidence of a manufacturing defect. The document also complained that the report had been inappropriate in tone, and might do damage to Sony's brand. The error code displayed was typically 8001050F and affected users were unable to sign in, play games, use dynamic themes and view/sync trophies. 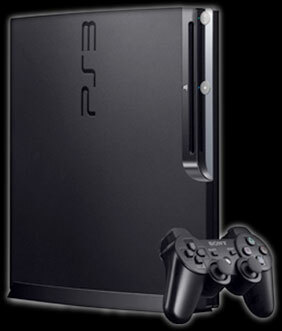 The problem only resided within the 1st through to the 3rd generation original PS3 units while the newer "Slim" models were unaffected due to different internal hardware for the clock. Sony confirmed that there was an error and stated that they were narrowing down the issue and were continuing to work to restore service. By March 2 (UTC), 2010, owners of original PS3 models could connect to PSN successfully and the clock no longer showed December 31, 1999. Sony stated that the affected models incorrectly identified 2010 as a leap year, due to a bug in the BCD method of storing the date. However, for some users, the hardware's operating system clock (mainly updated from the internet and not associated with the internal clock) needed to be updated manually or by re-syncing it via the internet. The PlayStation 3 console protects certain types of data and uses digital rights management to limit the data's use. Purchased games and content from the PlayStation Network store are governed by PlayStation's Network Digital Rights Management (NDRM). The NDRM allows users to access the data from up to 5 different PlayStation 3's that have been activated using a user's PlayStation Network ID. PlayStation 3 also limits the transfer of copy protected videos downloaded from its store to other machines and states that copy protected video "may not restore correctly" following certain actions after making a backup such as downloading a new copy protected movie. The PlayStation Portable can connect with the PlayStation 3 in many ways, including in-game connectivity. For example, Formula One Championship Edition, a racing game, was shown at E3 2006 using a PSP as a real-time rear-view mirror. In addition, users are able to download original PlayStation format games from the PlayStation Store, transfer and play them on the PSP as well as the PS3 itself. It is also possible to use the Remote Play feature to play these and some PlayStation Network games, remotely on the PSP over a network or internet connection. Sony has also demonstrated the PSP playing back video content from the PlayStation 3 hard disk across an ad-hoc wireless network. This feature is referred to as Remote Play located under the browser icon on both the PlayStation 3 and the PlayStation Portable. Remote play has since expanded to allow remote access to the PS3 via PSP from any wireless access point in the world.